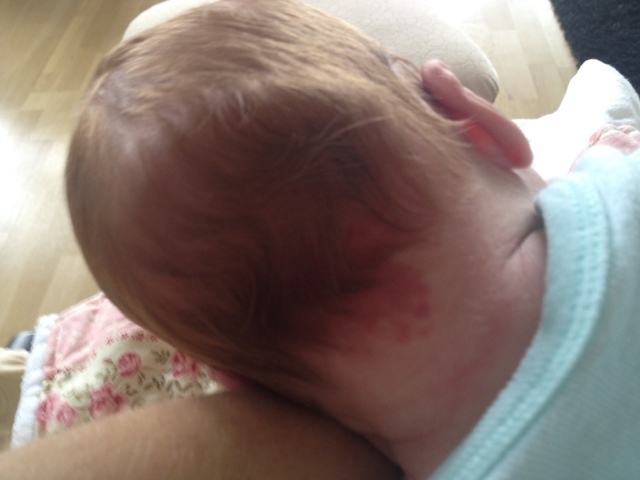 I was slightly appalled to see a dark red mark on the back on my precious daughter's neck. Jason informed me that it was called a stork bite and a type of birthmark that probably won't go away. At this point I scolded him for giving our child such an ugly birthmark. Naturally, I googled stork bites to see if this was true... Unfortunately it is. Ones on the back of the neck usually do not go away. I'm being vain here, but lets hope her hair covers it! !